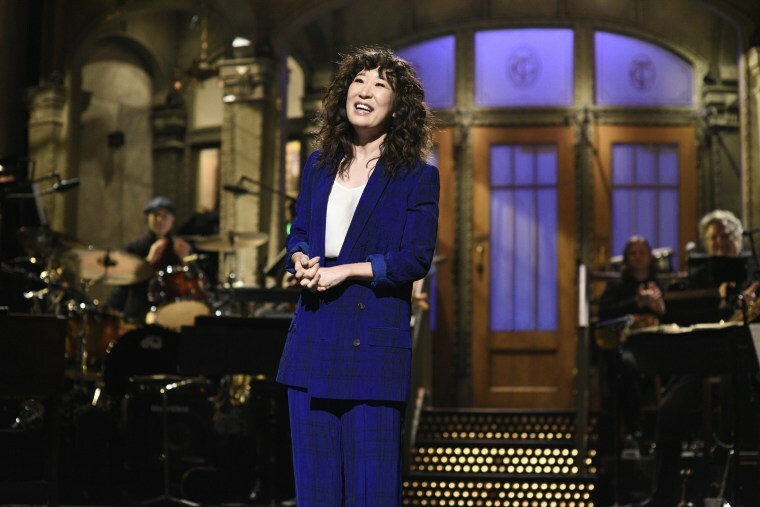 The Canadian-born Sandra Oh announced the special occasion during the monologue of "Saturday Night Live." LOS ANGELES — "Killing Eve" star Sandra Oh marked her one-year anniversary of becoming an American citizen by hosting the Mar. 30 episode of "Saturday Night Live." The Canadian-born actress announced the special occasion during the monologue of the NBC late-night sketch series, saying, "I love Americans. You are confident and direct. And now that I am an Asian-Canadian-American, I'm trying to learn a thing or two about tooting my own horn." "SNL" regular Leslie Jones joined Oh on stage to tell her how well she was doing, to which Oh defaulted to the Canadian in her and apologized. But Jones pointed out that Canadians do "really well" in America. "Look at Drake. In Canada he was in a wheelchair," she said. "You have to learn how to accept a compliment. ... It's not about the brag; it's about the swag. You just have to have confidence." "I'm Sandra Oh and I cry more than any person you've ever met," she tried. Oh also noted that people have been telling her she's been having a great year. She was the first Asian actress to be nominated for a lead drama actress Emmy in 2018, and she then went on to win the Golden Globe of the same category and for the same role (the titular MI6 agent in the BBC America series), during an awards show she was also co-hosting. This time around, though, she took the opportunity to thank everyone but her parents — who she admitted doesn't watch "SNL" because it's on as the same time as "going to bed."